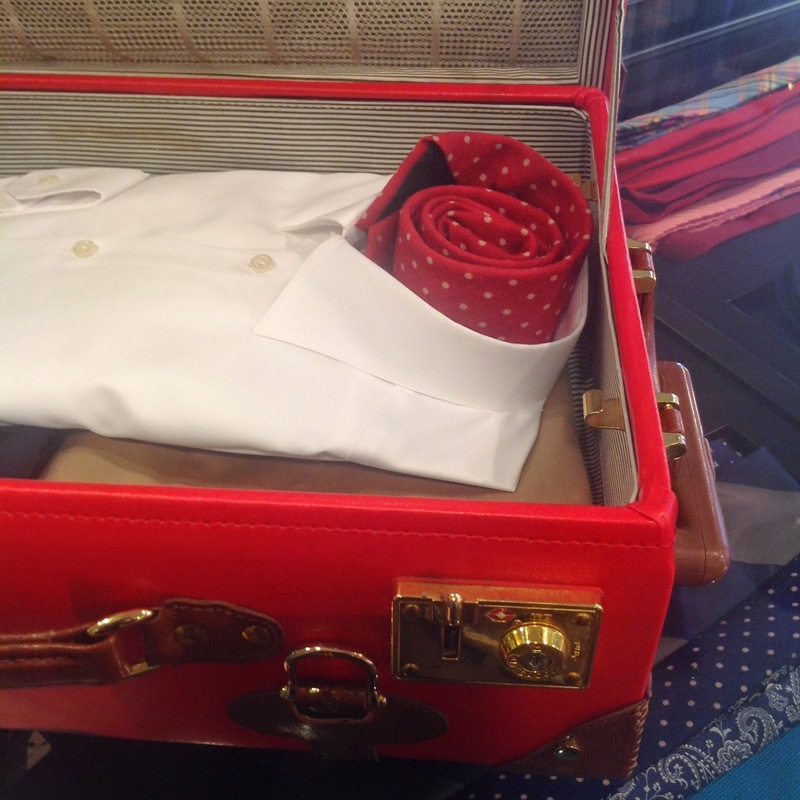 GatsbyLifestyle: How To Safely Pack Ties For Travel. How To Safely Pack Ties For Travel. "Dear Gatsby, I travel a lot, and my silk ties always come out of my suitcase wrinkled. What’s a good way to pack them? Or should I just start carting an iron around?" We at Gatsby would never recommend you iron your own tie, that’s a last minute accident waiting to happen, the lint on the inside of any tie will crease the silk and once that happens its game over. & you find it with more wrinkles then The Rolling Stones hang it in the hotel bathroom and run the hot water so the bathroom fills with steam. After ten minutes or so, the wrinkles should vanish. However if you’re concerned about your packing & your carbon footprint try the following packing tips. The first method involves winding the tie around your hand and placing it in a corner of your luggage where it will not get squashed. In method two, the rolled up tie is placed inside the neck of a shirt. 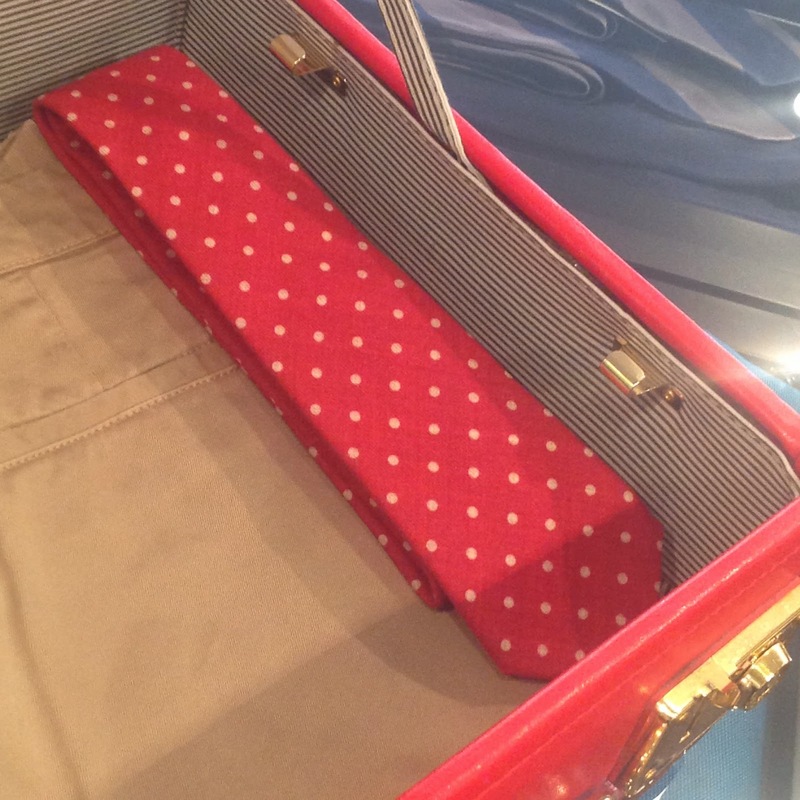 Method three requires folding the tie in half lengthwise and laying it on top: Alternatively, it can be placed on the bottom of the suitcase where it will remain flat. 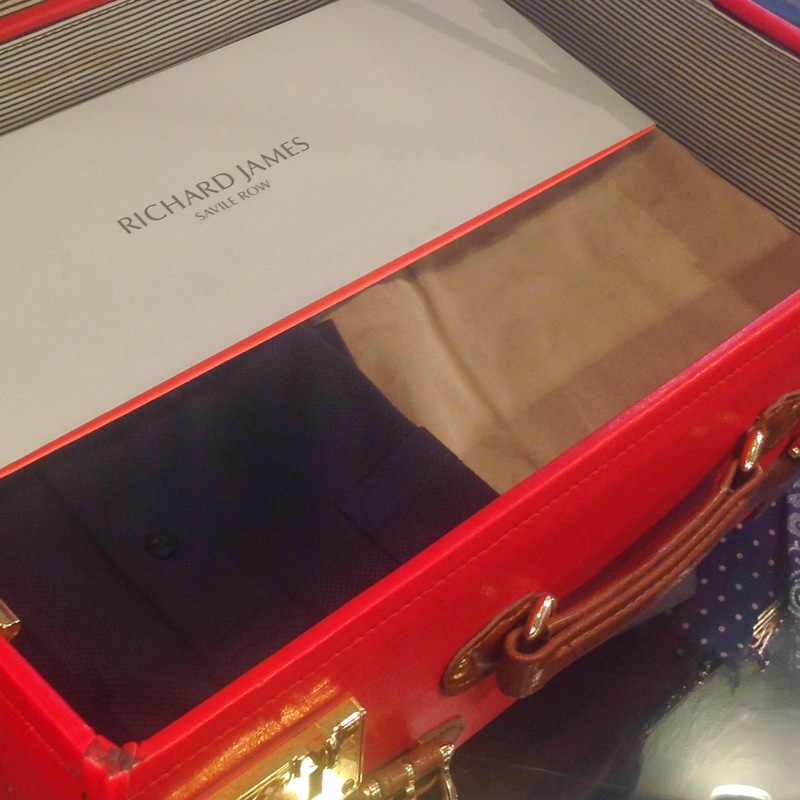 A fourth option is to purchase a special tie travel case or better still use the free Richard James or Eton cases supplied by Gatsby Menswear. 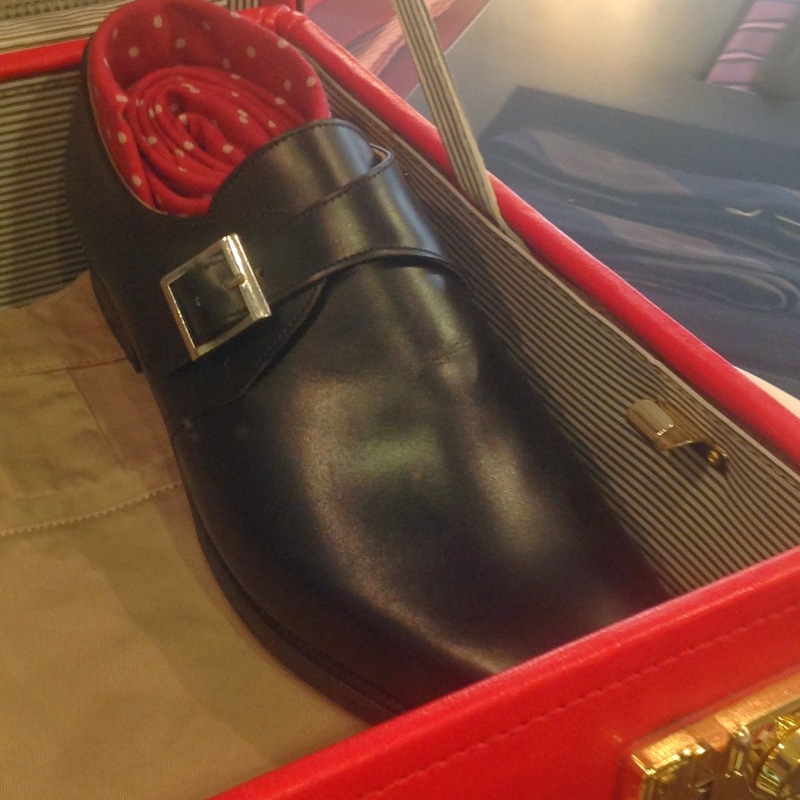 The fifth option is to roll the tie up and sticking it in your extra pair of shoes. 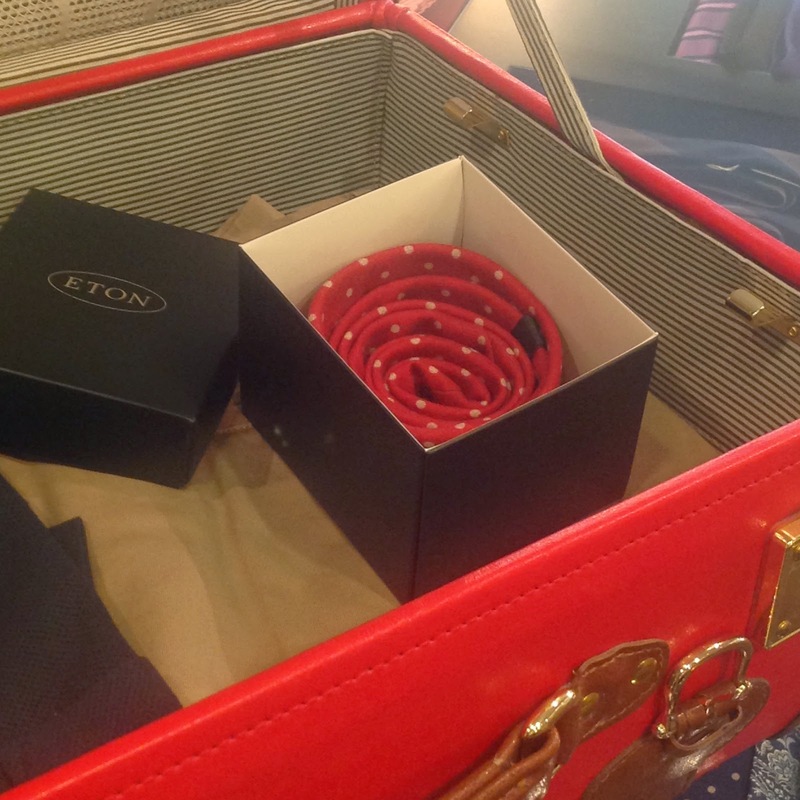 One way or another, it is prudent to take several ties along business trips. 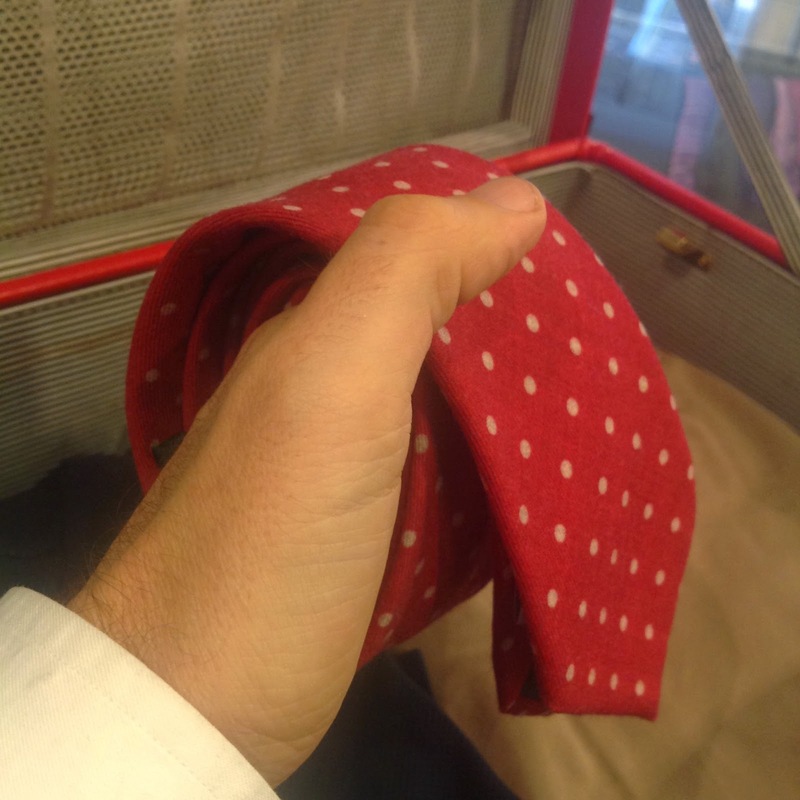 Apart from anything else, a tie could be put out of action as a result of becoming stained.